Sergio David Calzado was born in Havana, in 1959 and began studying classic violin when he was eleven years old. Music was already rooted in his family environment since he is Sergio Calzado`s son, the prominent singer who is well-known for his performance with the "Fajardo y sus Estrellas" group. David Calzado studied this instrument at the National School of Art in Cuba for nine years. He started his professional life as member of the Pancho "El Bravo" orchestra while acting as musical producer of important soloists in the country. From 1981 to 1987 he formed part of the violin section in the Ritmo Oriental Orchestra where he made his debut as arranger of pieces that became very popular during that decade. His work in this important orchestra was decisive for his professional development. La Charanga Habanera was created in 1988 when a group of ten young graduates from the most important Cuban schools of music, David Calzado among them, decided to set in motion the i nitiative of a French businessman, Bernard Lion, to create an orchestra using the typical format of the charanga and perform the Cuban traditional music, especially that of the 1940`s and 1950`s. Once the group was created, they signed a contract with the Sporting Club of Monaco, in Montecarlo, to make quarterly presentations for a five-year period. At the beginning, the orchestra was led by Gerardo Aguillón and then by José Picallo. During its first stage, the genre repertoire of La Charanga included the mambo, danzón, bolero, guaracha, cha cha chá and instrumental pieces from the international repertoire. In Monaco, the orchestra shared the stage with artists of the stature of Whitney Houston and Lola Flores, Frank Sinatra and Tina Turner. At that time, young David Calzado was performing at the Tropicana Orchestra in Cuba as First Violin while working with La Charanga Habanera and as arranger and recording producer. Initially, the Orchestra only met to rehearse during summer and during its performances in Montecarlo until 1990 when they decide to consolidate and stabilize their work as a formally constituted orchestra. It was then when David Calzado became the head of the orchestra. It was also the transition time from the traditional music to the dancing popular music. The orchestra"s first presentations were at the Charanga Festival and in "La Tropical", the most popular dancing hall in Cuba. At that time, the orchestra was made up by three violins, cello, flute, saxophone, piano, bass, trumpet, viola, pailas and congas. In December 1992, they decide to start again but from a widely-renovated Charanga Habanera whose members wanted to become the Cuban dancers` favorite orchestra. Then, David Calzado devised a new format by eliminating one of the violins and the cello and introducing the keyboard, bongos and another trumpet thus producing a much more modern sound and transforming the performing style. That same year they performed at the Boulevard de los Sueños in Viña del Mar, Chile. Back in Cuba, the orchestra regularly performed at the Caribe Cabaret in the Habana Libre Hotel as guests of Santiago Alvarez, the famous choreographer and art director. In 1993, they traveled to Europe to participate in the Helsinki, Tenerife and Las Palmas carnivals. In 1994, the orchestra launched its new sonority with "Me sube la fiebre" record (EGREM label) which includes songs from important composers as, for example, "Me sube la fiebre" by Giraldo Piloto; "Extraños ateos" by Leonel Limonta; "El pregón del chocolate" by Isaac Delgado; "Te la voy a liquidar" and "Para el llanto" by Manolín, the "Médico de la Salsa", among others. Virtually all its songs became hits: "Me sube la fiebre" reached the first places according to audience surveys made in 24 radio stations throughout the country. This record engendered a passion for the Timba in Cuba and La Charanga Habanera consecrated itself in the most important scenarios of this genre. In 1995, few months after the launching of its first record on the market, the Spanish Magic Music label launched the CD "Hey you, loca" which meant the world recognition of the orchestra and its timba style. They tour across Europe and performed at the most outstanding festivals in that continent sharing the stage with artists like Tito Puente. In Cuba, thousands of followers of the new "charanguero" concept crowded the places where they performed. Songs like "Quítate el disfraz", "Mi Estrella" and "Hey you, loca" itself became such hits that the album was granted the "Best Dancing Record in Cuba" award that same year. 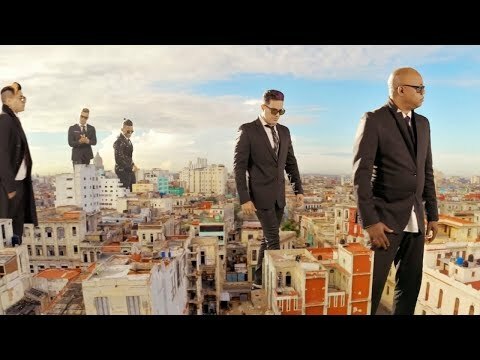 In 1996, they made an extensive tour across Europe which included Spain, France (the orchestra became the sensation of the New Morning in Paris), Italy, Switzerland, the United Kingdom, the Netherlands, Germany and Sweden with the purpose of launching a new phonogram entitled "Pa`que se entere La Habana" which was recorded in Costa Rica. Once again, songs like "Nube pasajera", "La superturística" and "Yuya la Charanguera" reached the top places. In 1997, the compact disc entitled "Tremendo Delirio" was launched and La Charanga hit the headlines again with "No estamos locos", "Un disparo en la mirada", "Lola, Lola" and "Hagamos un Chen". According to both dancers and critics this record was one of the best in that genre in Cuba as well as a challenge to Latin musical creation since it combines the so-called "hard salsa" with the eroticism, sensuality and energy exuded by the members of La Charanga Habanera. In 1998, the orchestra was crowned again with an international hit during its presentation in MIDEM, the "Cuban Night" held at the Great Auditorium of the Palais des Festivals in Cannes where they ravaged the audience and confirmed once more that La Charanga Habanera constituted the most ingenious Cuban music proposal of that time. In Cuba, the audience followed La Charanga en masse to crowded places like El Palacio de la Salsa (The Salsa Palace), La Cecilia and the Salón Rosado in La Tropical, the salsa centers or the Mella Theater and the Ramón Font Sport Hall. During this stage, although the group preserved its name, it was no longer holding the charanga format, since it eliminated the flute and the violins. The pailas with bass drum and cymbal were added and the brass section was finally made up by three trumpets and one saxophone, thus creating a sort of symbiosis between the son, the typical charanga and jazz-band. Under the leadership of David Calzado and with the incorporation of young talents, La Charanga Habanera soon managed to place itself in the most impenetrable and competitive market of the salsa world in the 1990`s: Cuba. During these years, many groups mushroomed and penetrated the popular preference, but La Charanga revolutionized the Cuban music and became the main target of both the media and the public. Their success lied on the fact that this orchestra constituted a new proposal which combined the broad potentialities of its members "singers and instrumentalists alike- with a well-structured choreography executed by all musicians who display versatility and expressiveness on stage thus breaking every predetermined canon of this kind of orchestra. On the other hand, David Calzado "strategist by nature and with a sharp instinct to attain success- has wisely selected the themes with very good nose: the orchestra"s repertoire has an explicit philosophical-popular sense and the daily life becomes his great theme. Likewise, David Calzado has engaged in the selection of the wardrobe and the scenic architecture, thus becoming a very special director. Other characteristic elements of La Charanga include the use of the African harpsichord which adds a greater freedom of performance and accelerated polyrhythmic marked by the bass and the keyboard in what is known as contratumbao, as well as the introduction of rap, funk and hip-hop elements. Besides, it is worthwhile mentioning the role played by the singers in the success of this orchestra. Since its inception, the orchestra has had important vocalists, namely, Luis Alberto Leyva, Mario Jiménez "Sombrilla", Leo Vera, Michel Maza and Danny Lozada, some of whom have had later on a successful career as soloists or leaders in other groups. That is why La Charanga Habanera is also considered as a school of music and an orchestra-producing orchestra. The orchestra is advancing rapidly in its career with records like "El Charanguero Mayor", edited in the year 2000 and "Chan Chan Charanga" (2001), and is once again at the top of popularity. 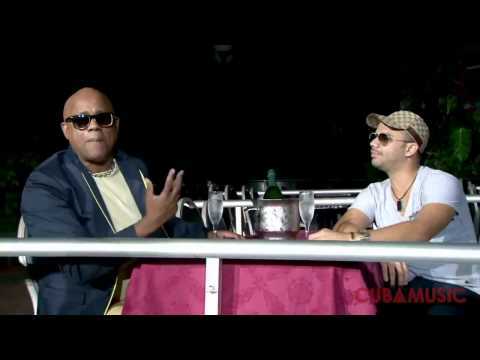 In the year 2003, a new record-breaking event took place with the launching of "Soy cubano, soy popular" on the market and one of its themes, "El Boni está", became a true hit and its video clip the dancers` favorite one. Themes originally performed by La Charanga have been included in the repertoire of prominent international artists like the Spanish group Ketama, Omar Hernández, Yanko and the Puerto Rican singer Danny Rojo, among others. David Calzado`s show-orchestra has received the Cubadisco Awards, Lucas Awards and has been nominated for the Latin Grammy; it has also made countless international tours and has received many acknowledgements both in Cuba and abroad. Today, this orchestra is still the favorite of the overwhelming majority of the audience for its always young image and its talented instrumentalists and singers and for its dynamic sound closely associated with the most aggressive timba born of the authentic spirit of the 1990`s. La Charanga Habanera is an indispensable orchestra that has to be taken into consideration whenever we speak of the history of dancing popular music in Cuba.